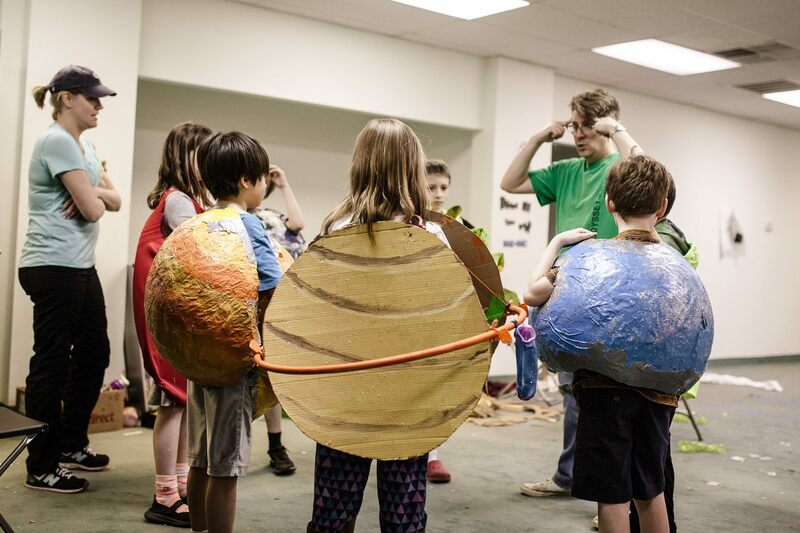 Odyssey of the Mind, also known as OM or OotM, is an international educational program that provides creative problem-solving opportunities for kids. OotM allows kids to combine their interests and skills in science, engineering, visual arts, performing arts, improvisation, and creativity. Teams of 5 to 7 kids develop solutions to "problems" that range from building mechanical devices (e.g., "Build a vehicle powered only by a mousetrap that can navigate a maze.") to performing new versions of literary classics (e.g., "Re-write 'Hamlet' as an 8-minute musical comedy in which Hamlet is not a human being.") The teams bring their solutions to regional, state, and world tournaments. Thousands of teams from throughout the U.S. and the world participate in OotM. Collingswood Recreation Program Odyssey of the Mind (CRPOM) program was founded in 2012. We are an all-volunteer, community-based program operated by the Borough. In this short time, CRPOM has grown into one of the largest and best programs in New Jersey, involving nearly 100 kids, 15 coaches, and dozens of judges, instructors, and other volunteers. In six seasons of competition, CRPOM has sent 32 teams to the New Jersey State Finals, won five New Jersey State Championships, and sent eight teams to the OotM World Finals. All kids who are eligible to participate in Collingswood Rec sports are eligible to participate in CRPOM. This includes any child who attends school in Collingswood or one of our sending districts of Oaklyn and Woodlynne. This also includes any child who lives in Collingswood and attends a private, parochial, or home school.